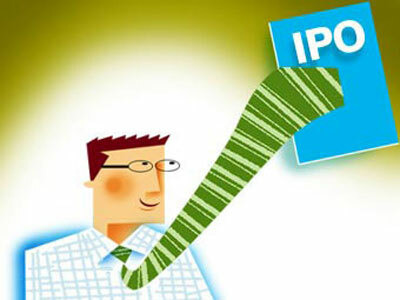 Rediff.com » Business » Will IPOs this year give huge returns? The most sought-after IPOs of 2017-2018 reap handsome gains for investors, but will IPOs this year do well after listing? The top 10 offerings in terms of subscription have gained an average 66 per cent on listing day. Shares of these 10 companies are currently trading around 60 per cent higher than their issue price even as the benchmark indices have come off nearly 10 per cent from their record highs touched late January. According to PRIME Database, Salasar Techno Engineering and Astron Paper & Board were the most-subscribed offers of FY18. Their issues subscribed over 200 times. The strong demand spilled over into the secondary market as the shares gained more than double on listing. The public offers attracted a lot of investors mainly because of their not-so-big issue sizes. That of both Salasar and Astron was less than Rs 1 billion (Rs 100 crore). The minimum listing day gains for the top eight subscribed offers were 37 per cent. However, it's a winning-a-lottery moment for investors if they get their hands on the shares of the most-subscribed IPOs. On average, only one of the 30 investors applying for such offers is allotted shares. According to the process laid down by the Securities and Exchange Board of India), allotments are made on a proportionate basis. However, if the number of investors exceeds that of shares available, allotment is done randomly. In terms of number of investor applications, state-owned Cochin Shipyard and Hudco top the chart, according to PRIME Database. Both these issues saw nearly 2 million applications each from retail investors. The listing gains for Cochin and Hudco were relatively moderate, with their shares gaining around 20 per cent each. Among the private sector IPOs, depository firm CDSL, asset manager Reliance MF and poultry firm Godrej Agrovet received the most number of investor applications at over 1.5 million each. Market players said investors took cues from the grey market while applying. "Typically, investors look at the premium shares of new companies are quoting in the unofficial grey market and then decide whether to apply in an IPO. Most of the frenzy is to pocket listing day gains," said an investment banker. The demand for some of the recent public offers remained muted amid a downturn in the market. Of the dozen IPOs that hit the market in March, only two subscribed over 10 times. For most of them the portion for retail investors remained undersubscribed and few received thousand applications. Experts said investors preferred to stay away from the primary market because of market volatility. If this persists it could affect future issuances. "We are likely to see more volatility which could affect fundraising plans of companies. There are 12 companies which have Sebi's approval to raise Rs 104 billion and another 18 awaiting the same to collect Rs 293 billion. As seen earlier, the pipeline may quickly vanish if the volatility and negative sentiment continues," said Pranav Haldea, managing director, PRIME Database. Is a bubble building up in IT midcaps? Want to beat volatility with decent returns?